THE EASIEST WAY TO PURCHASE A CHRISTMAS TREE ONLINE. DIRECT FROM OUR FAMILY FARM TO YOUR FAMILY ROOM! and receive the best quality! 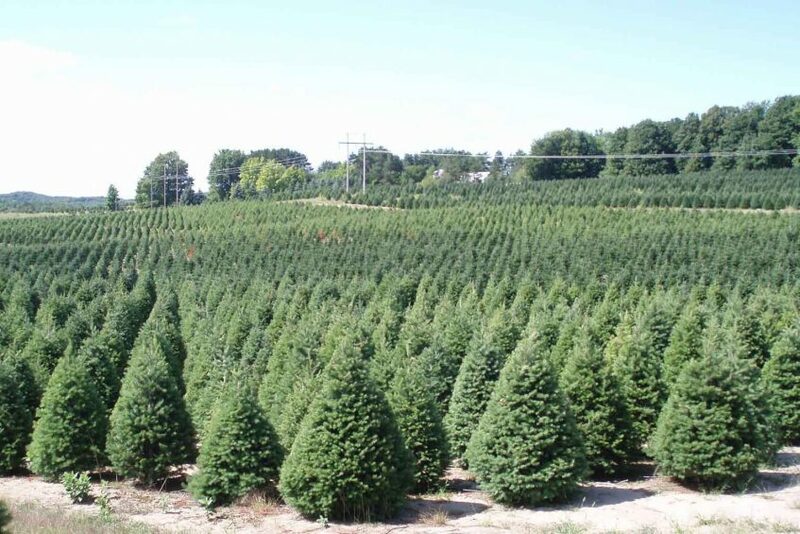 Brown’s Tree Farm has been growing and selling Fresh, Real Christmas Trees for over 40 years! 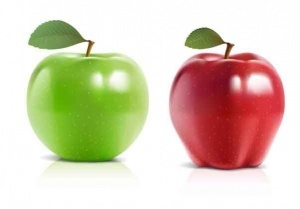 Click here to select the size and type of tree you would like to purchase. ATTENTION: We currently sold out for the 2018 season! We hope to see you back next year! 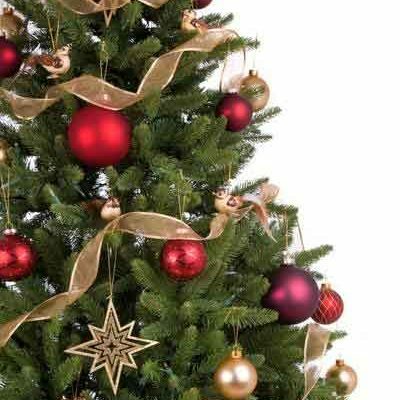 A Tree To Your Door .com offers the easiest way to Buy a Real Christmas Tree Online or Buy a Real Christmas Wreath Online. You simply select the size and type of Christmas Tree or Christmas Wreath you would like to order along with the date you would like it delivered. 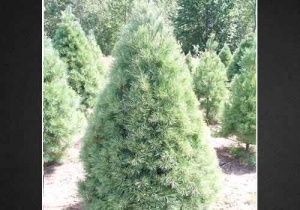 Brown’s Tree Farm will then go out into the field and hand pick a Christmas Tree for you. Your Christmas Tree will then be harvested and packaged in a custom box which helps keep in the freshness. Then you receive your Christmas Tree at your front door just a few days later. Christmas Tree Delivery, what could be easier? All Mail Order Christmas Trees we ship are guaranteed to be USDA #1 or better quality. While all of these trees are beautiful we do sell our highest quality trees on a first come first serve basis. When you place an order we go out into the field and place a sold tag that includes your order number on the most beautiful tree we can find that fits your size and type requirements. We then harvest your tree right before the ship date you specify when you place your order. We know it’s still early in the season but to ensure you get the most perfect tree possible we encourage you to Order Now. When purchasing a Christmas Tree From a retail location most of the Christmas Trees were cut in October. When purchasing a Christmas Tree Online from Brown’s Tree Farm your Christmas Tree is shipped within a few short days from when it was harvested! View our Why Mail Order Christmas Trees page for more information about why our order and shipping process is the best available. Not sure what to get your loved ones for Christmas this year? May we suggest a Fresh Christmas Tree Online or one of our beautiful Fresh Christmas Wreaths ? That’s right, you can order a Christmas Tree or Christmas Wreath online and have it drop shipped to a friend or family member. View our Great Gifts page for more information. Rest assured that all of your customer and order information will remain safe and secure. Our web site utilizes the latest in SSL (Secure Sockets Layer) protection which encrypts all of your information. Also note that we will not sell or lease your personal information to anyone. 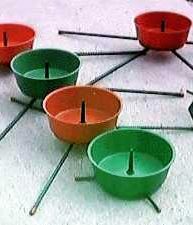 If you’ve never heard of a Pin Style Christmas Tree Stand then you will want to pay close attention. Brown’s Tree Farm is about to make your life a lot easier this holiday season. When you receive your Christmas Tree you simply take it out of the box, make a fresh cut, and then slide the pin located in the middle of the Christmas Tree Stand into the hole we drilled into the bottom of your Christmas Tree. That’s it! You can have your Christmas Tree standing straight in less than two minutes! View our Christmas Tree Stand page for more information about this easy to use stand. All Christmas Trees and Christmas Wreaths are shipped each week on Monday and Tuesday. All of the Christmas Trees are harvested each week on or before Sunday. In order to avoid paying additional “Rush Harvest” fees you MUST place your order by 9:00 AM on Sunday morning in order to have your Christmas tree shipped that week. Not sure what type of Real Christmas Tree to buy this holiday season. View our comprehensive Compare Christmas Treespage to help make your decision a little easier. Don’t take our word for it. Click here to see to what our customers have to say about our high quality Christmas Trees, Wreaths, and Service! If you think you can’t have a REAL Christmas Tree because you have allergies guess again. White Pine Christmas Treeshave very little aroma which results in fewer allergic reactions. We are always looking to improve our web site so we can better assist our customers. If you have any suggestions we would love to hear from you. View our Christmas Tree Testimonials page to see what our previous customers are saying about us. Send a Christmas Tree as a gift.Buy a Fresh Cut Christmas Tree Online and we’ll ship it to your loved ones! Brown’s Tree Farm makes it easy to buy a Christmas tree online. Christmas Tree Home Delivery, what could be easier. Free Removal Bag! – Free Boughs! Order Early! Order your Fresh Real Christmas Tree Early and receive the best quality! We are your #1 Source to Buy a Real Mail Order Christmas Tree Online. We guarantee you will be %100 satisfied.